A strong strategic plan enhances your school district’s brand, positions your team as one that listens to its community, educates and informs the public, and gives everyone a stake in your success. 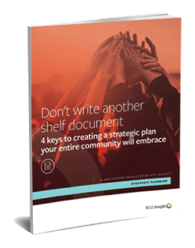 If your strategic plan falls short in any of these areas, you’re not alone. Fill out the short form to download your copy now.